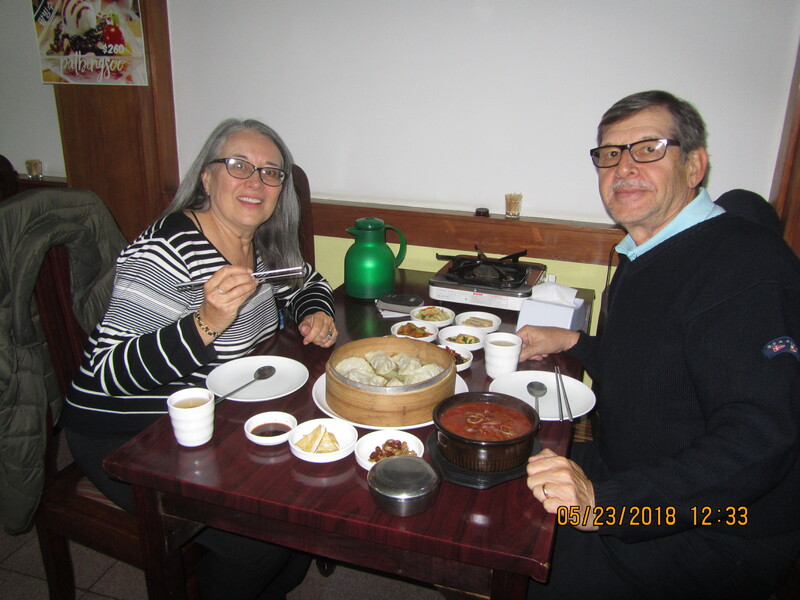 One of the great finds on our trip to Montevideo was the Myeong Ga Korean Restaurant near Plaza Independencia in old town. 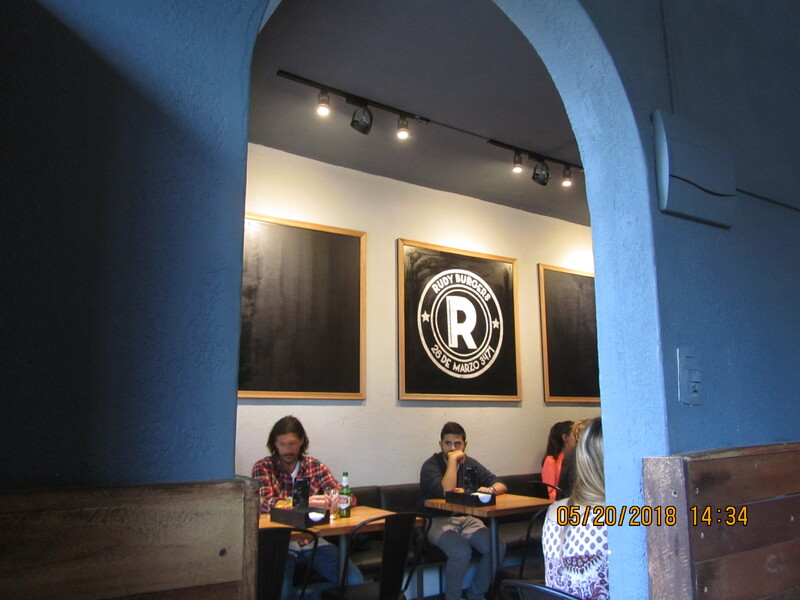 We have had few opportunities to try Korean cooking and this was a fabulous restaurant to cut our teeth on. The menu was filled with dishes from soups to beautiful meat dishes that several could be made vegan if that is your thing. We had a wonderful super spicy beef soup and a chicken, vegetable and noodle dish that we shared. You can order almost everything from not too hot, pretty hot to scorch your mouth hot. We also ordered the steamed dumplings and were so surprised to see 7 or 8 additional tapas style dishes served. When you look at the pictures it looks like the food was ordered for 6 people and it was just Joe and I. What a feast! 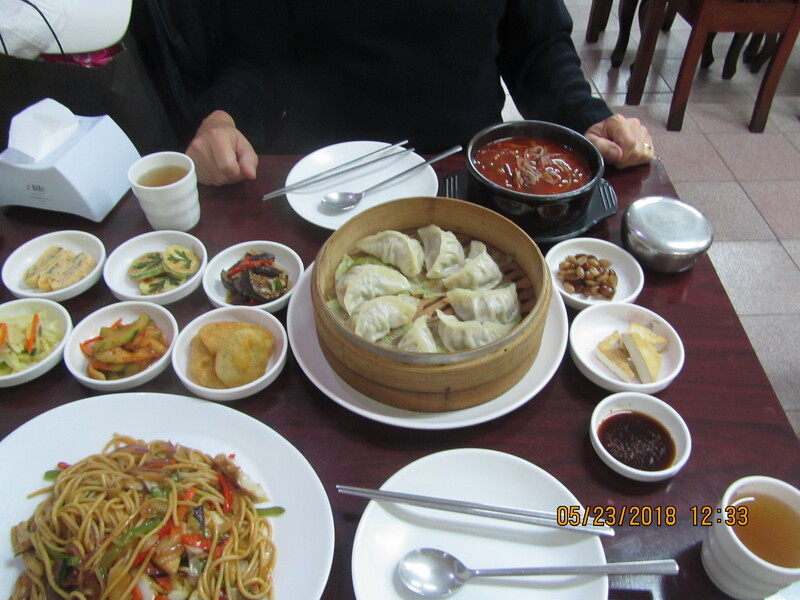 The side dishes included eggplant, kim chi, a lovely egg dish, cucumber salad as well as cooked peanuts and, a few more I can’t remember. All served with a hot barley tea, also something we have never had before. 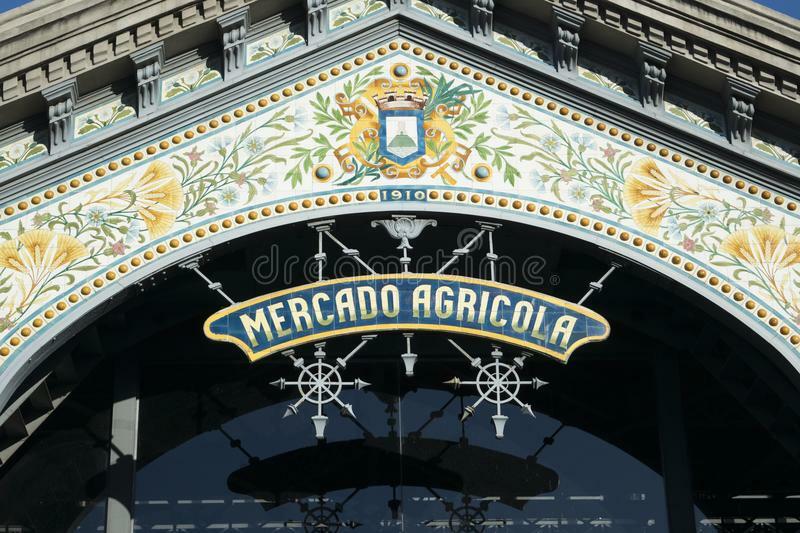 We are looking forward to another trip to Montevideo just so we can have lunch or dinner at Myeong Ga.
Bar Facal was founded in 1882 in downtown Montevideo. We stopped there one morning for a quick breakfast on one of our outings. 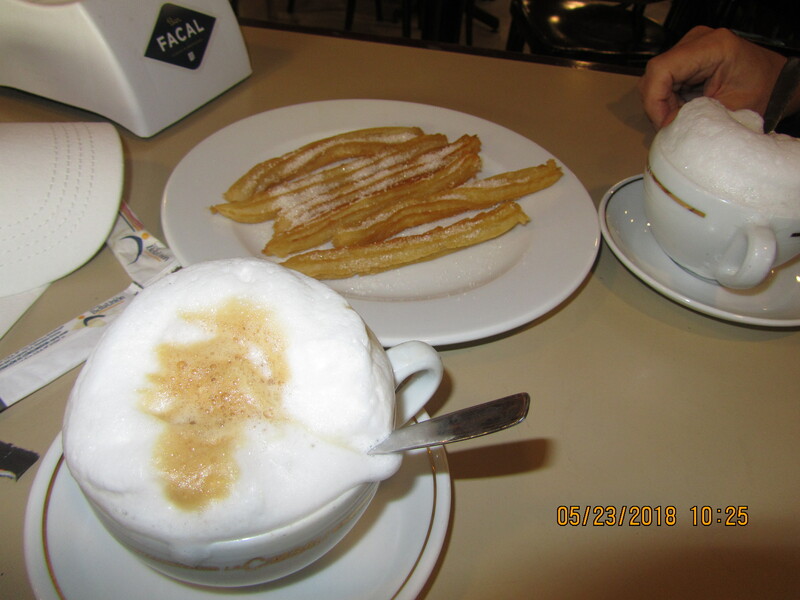 This the Italian Cappuccino and was served with churros. 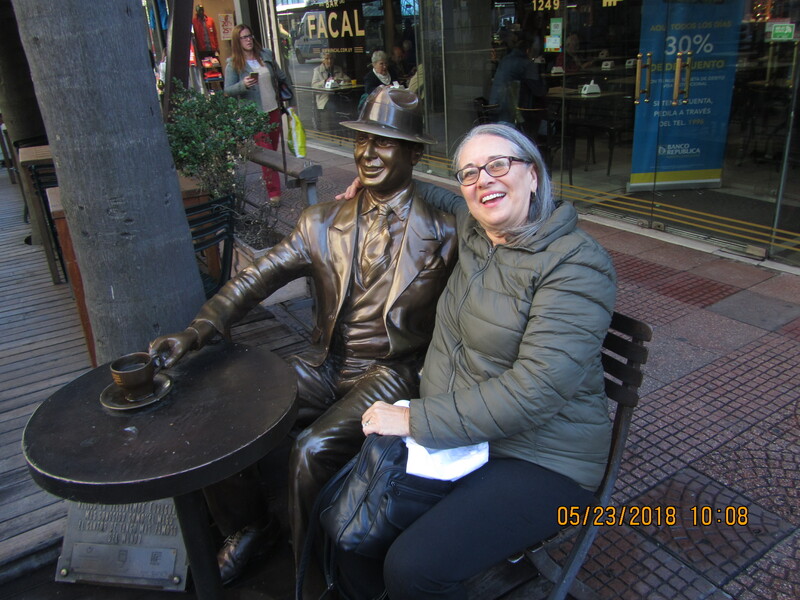 On the sidewalk outside the bar near to the fountain, is a full sized bronze statue of Carlos Gardel, a French composer, singer/songwriter and actor and the most prominent figure in the history of tango. 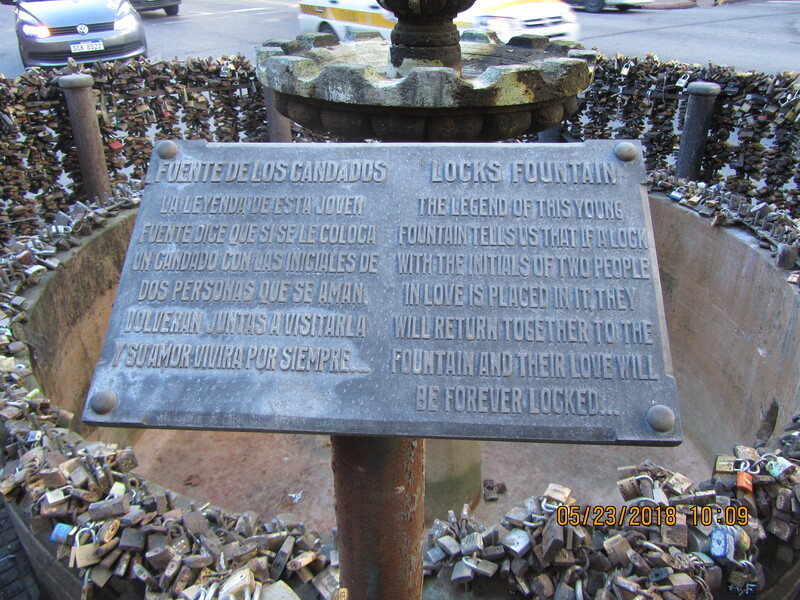 The Locks Fountain is located at the corner and was an amazing site. 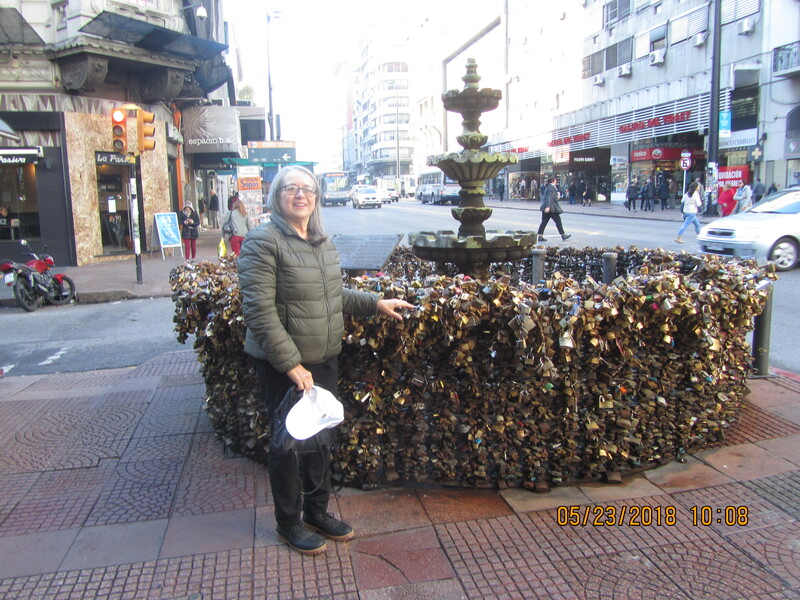 Couples take a padlock, marked with their initials and lock it to the fountain. They say if you do this you will stay together and come back to visit the fountain. 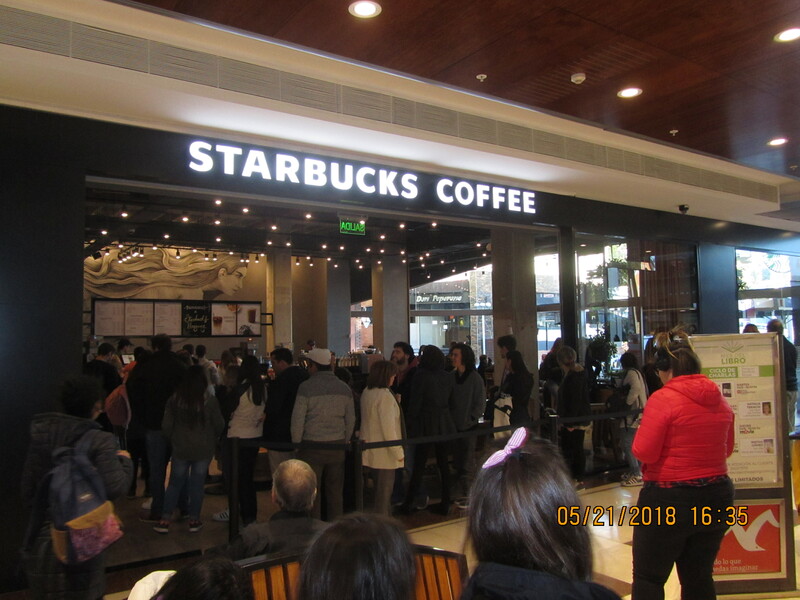 Starbucks Coffee opened their first Uruguay store in Montevideo Shopping in April of this year. We happened to walk by and saw this incredible line out the doors waiting for a cup of coffee. Good luck, the last time I was caught waiting in line was at Disney World in the 90’s. Never again. 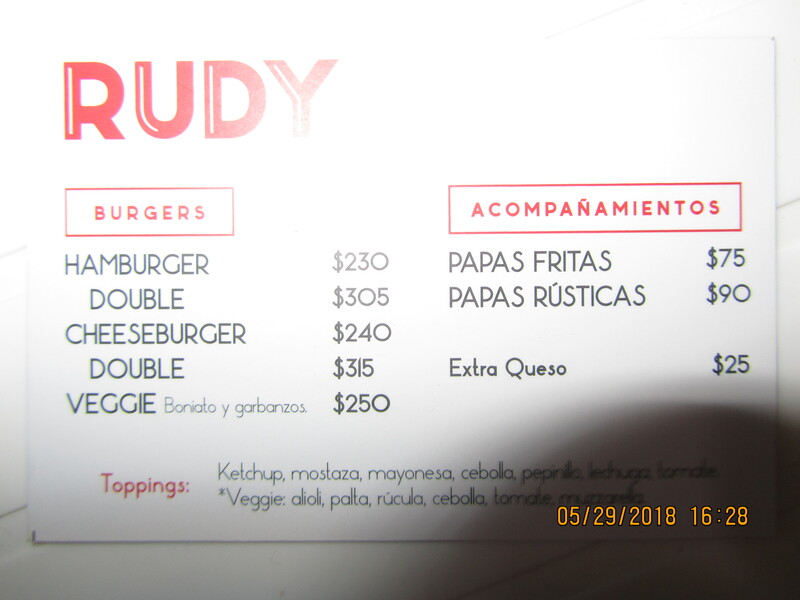 I know I wrote about Rudy Burger back last year when we were living in Montevideo. 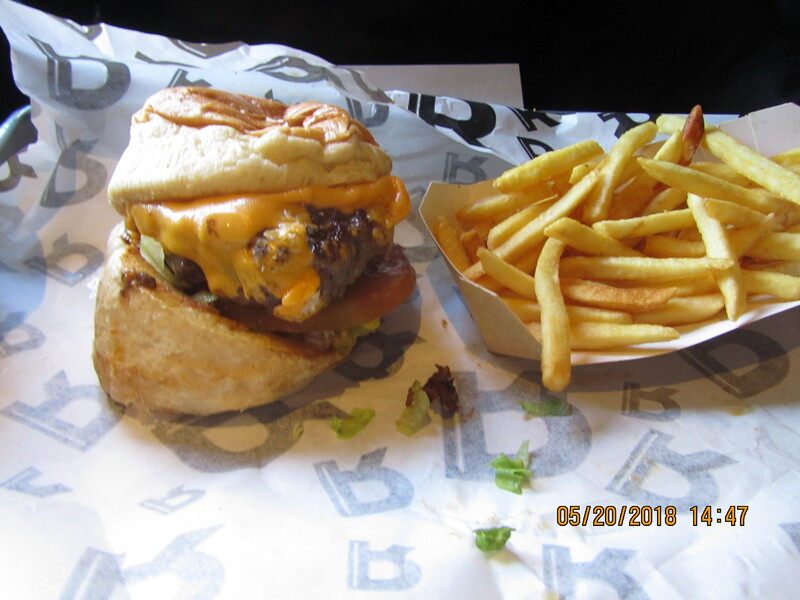 And I told you it was the best burger we have ever had, well it still is the best burger we have ever had. Once again we stopped and had to try it. And once again it was excellent. Very attentive staff with fast service. Food excellent, can’t think of one thing that was not perfect. 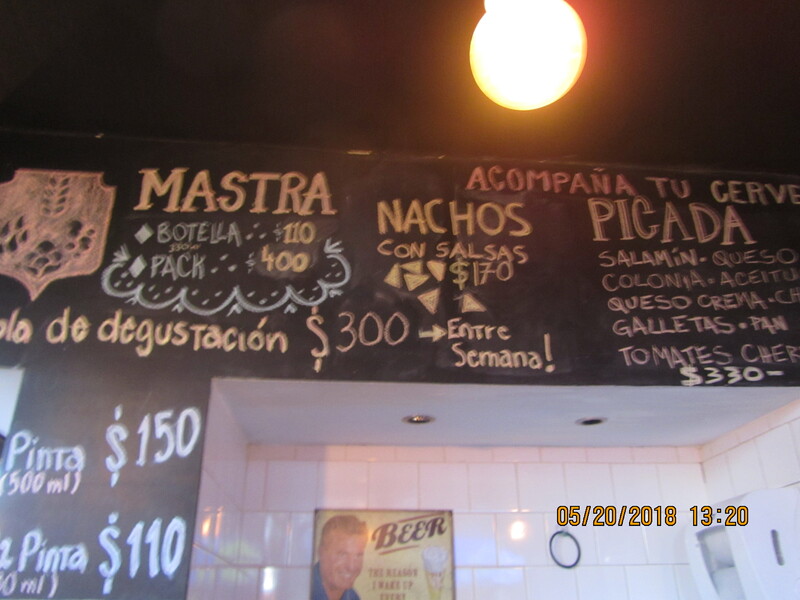 Only wish they had a location here in Atlantida. Simple food done well. 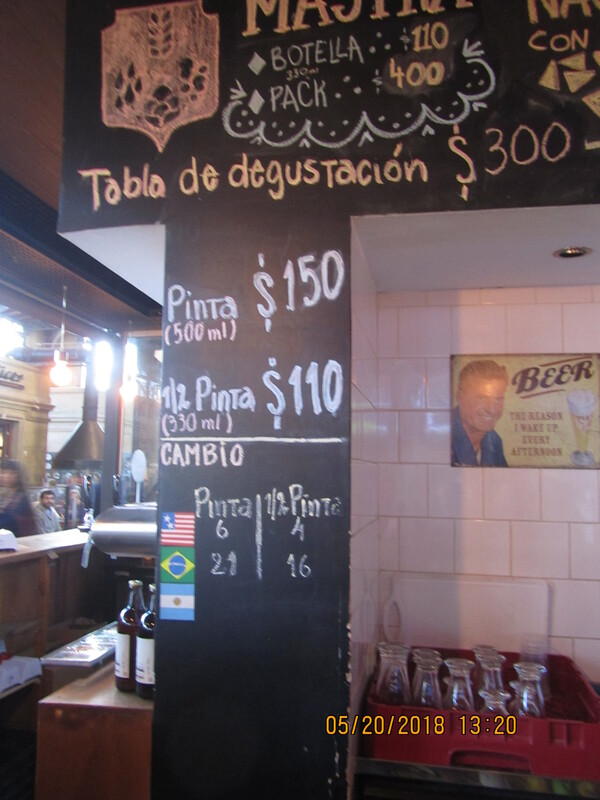 We spent most of last week in Montevideo, a bit of time for business but mostly for personal. 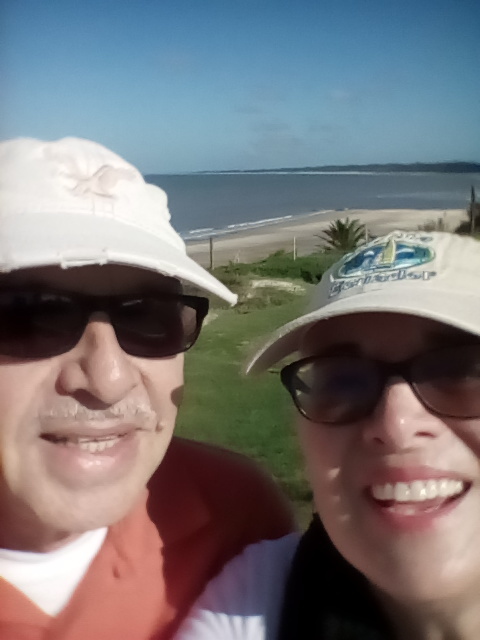 After spending three months there back in early 2017 it was wonderful to spend time in the same area, Buseo, because we knew everything already. The apartment was a sweet, very comfortable efficiency and get this – it had under floor heating as well as a reverse a/c heat unit. 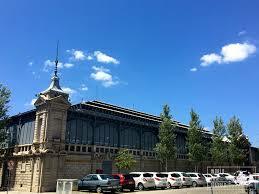 And the kicker was it was only one block from the Montevideo Shopping mall. We just loved it. 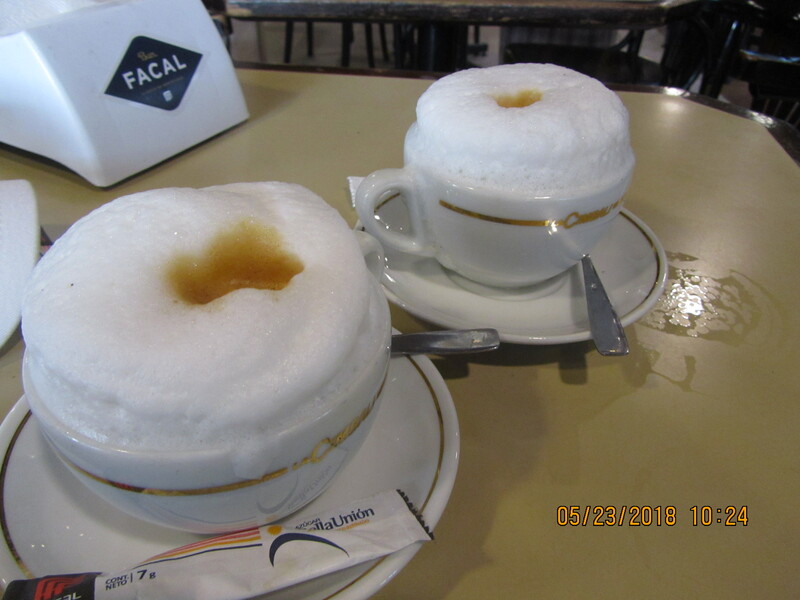 While there we had plans to find spices and condiments I could not find here in Atlantida as well as sneakers for both Joe and I and some warm clothing. Our first morning we spend at the Agricola Mall. 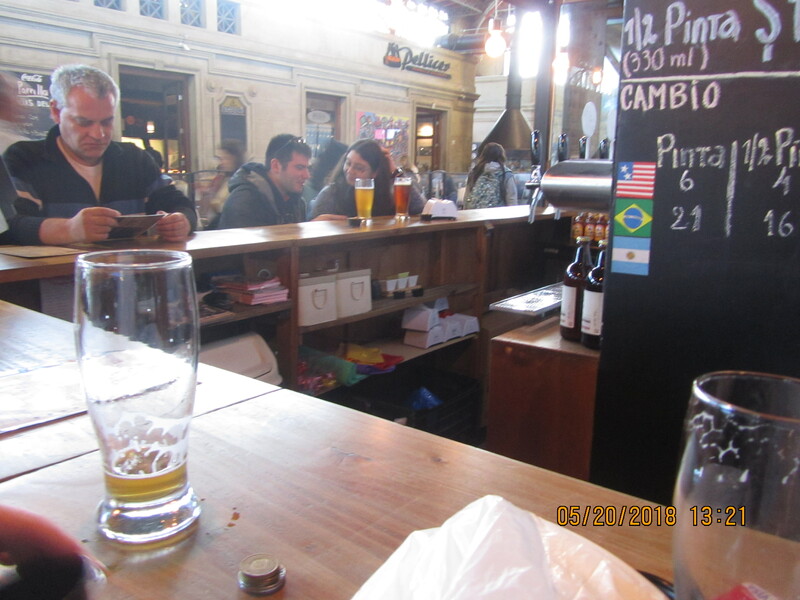 And after a complete circuit of the stores, we decided to stop for a cold draft beer at their artisan beer stand. 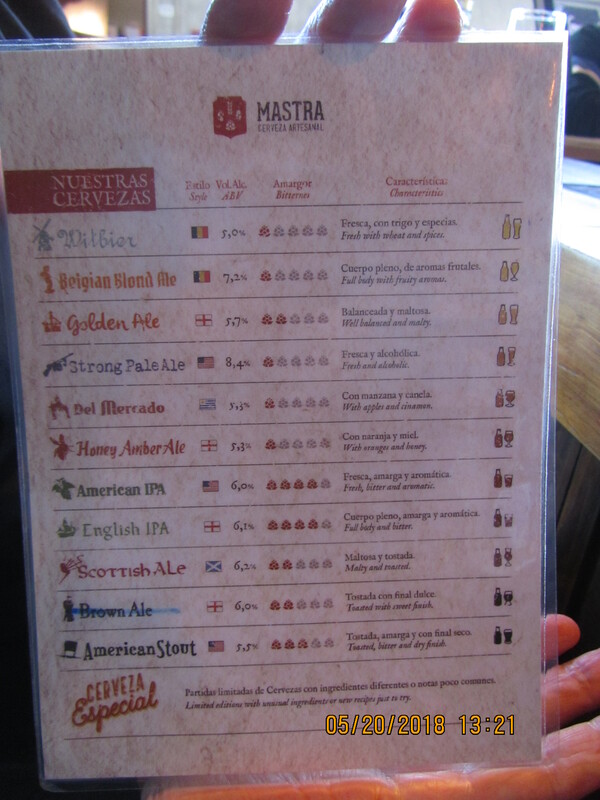 This is Mastra a local artisan beer company. I ended up picking the Honey Amber Ale while Joe took the Strong Pale Ale. Both were cold and very refreshing. They even sold a few selections in small kegs. 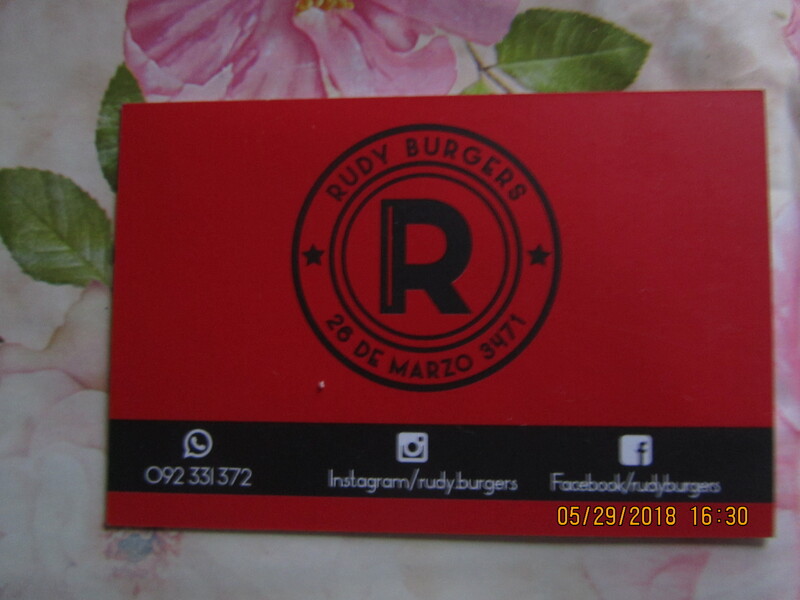 You could also get a little treat but we were looking forward to lunch at Rudy Burger so we passed. Did not take us long to get refreshed so we could make another attempt at those stores. It was fun and we would go back and do it again,,,but right now we had more shopping to do. To say that 2017 was not our favorite year would be an understatement. Making a move is always difficult but in this case it was terribly difficult as we were pretty settled in our minds that San Clemente, Ecuador would be our last home, last hometown, and we would be buried there. We felt almost betrayed that the earthquake and its many aftershocks had caused us to make the move. 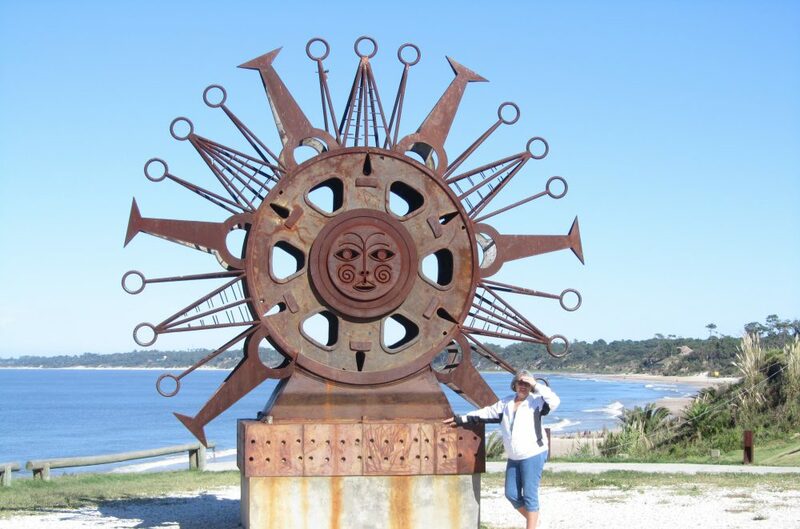 Uruguay was okay but we had to start all over again, I mean from scratch, it was an emotional upheaval on many levels. But we are troopers and made the best of it, in our minds moving has always been an adventure so that is how we looked at it. Then while Joe was having a routine physical he had a cardiac episode. This happened in April 2017 right as we were moving into a new home in Atlantida. After waiting for a medical procedure for 9 months he finally is recovering and we have our lives back. That is my explanation for no blog posts for almost a year…. but I’m BACK!!! 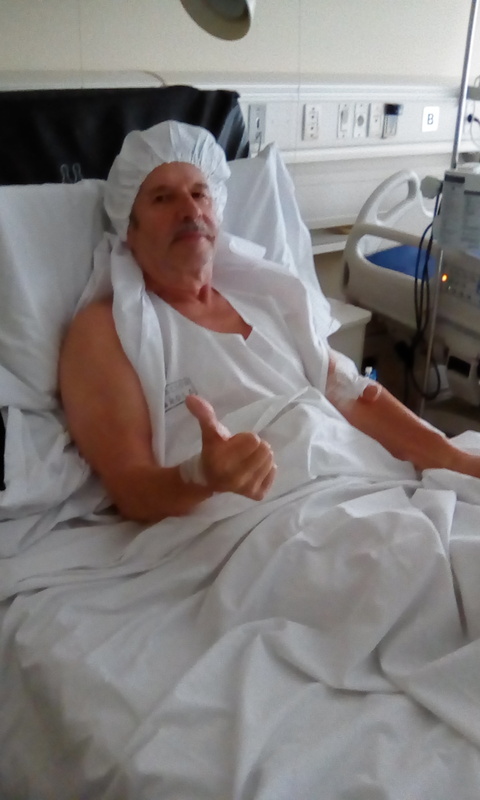 With Joe’s health improving daily we are back on track and starting to do things that were not possible the past year. So get ready….more to come! This morning we woke to 40 degree weather with a wind of around 18 mph. A good day for a warm and hearty stew recipe. I had all the ingredients for a wonderful Ratatouille so that is what I have made. If you like zucchini and eggplant you will love this recipe. The cutting up of the veggies takes the most time, the cooking time is super fast and you end up with a very hearty meal. Use part of the olive oil to sauté the beef with the dry herbs. Set meat aside on a plate when almost cooked. In the same pot add the balance of the olive oil and sauté the onions, celery and peppers for 2 minutes, add the balance of the veggies and cook just a few minutes, stirring occasionally. At this point you may need to add 1/4 cup of water but the veggies will release more of their own juices making more sauce. Add the ground beef and stir, cover and cook for 10 minutes. Check the tenderness of the veggies, they should hold their shape but be tender. This is the time to make adjustments to the seasoning, adding salt or pepper to taste. Sprinkle with chopped parsley and a grating of Parmesan cheese. Serve hot or at room temperature. 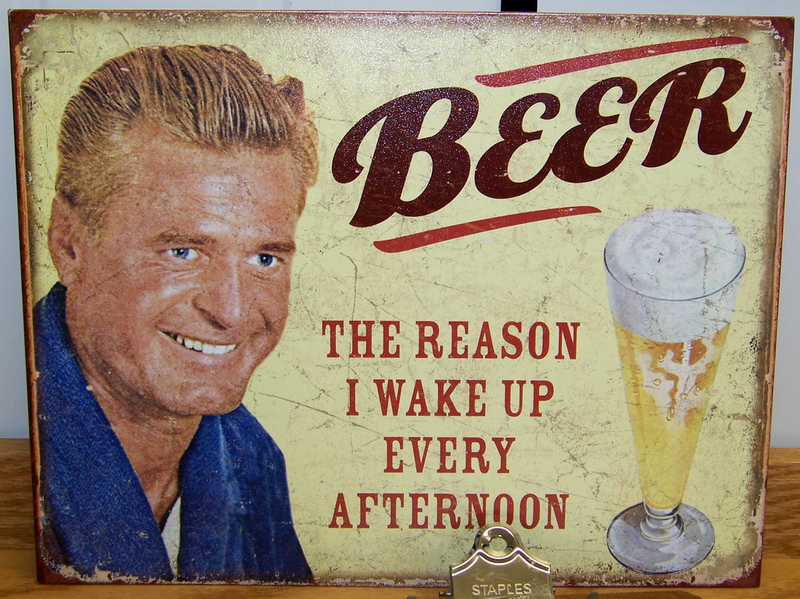 This tastes even better the next day. You can serve over a baked potato or rice to make a more filling meal. This recipe is from Sandy Hill who we met in South Miami years ago. We have lost contact over the years but this recipe has lasted the test of time. Of course I have made several additions to make it my own but the basic recipe is the same as when Sandy had Joe and I over for dinner back in the late 70’s.